„The Internet has completely revitalised underground culture. The democratisation of access on a global scale has empowered musicians, freed information, started conversations, sparked incredible new levels of creativity, and put the jumper cables to an industry that was flatlining. 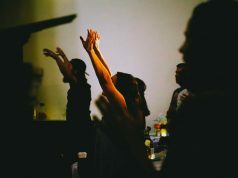 It’s no longer pot luck for who you know or where you’re at; the 1% have been rendered irrelevant. Good music finally reaches the right people. It’s better now than at any point in history, and we’re on track for it to get better and better. We’re part of a privileged generation. On 5th November, we celebrate 5 years of Boiler Room with a full day-and-night broadcast of 5 parties streamed live from 5 cities across the world – London, Berlin, New York, Los Angeles and Tokyo. The artists billed at all 5 parties have been handpicked by the Boiler Room family, including some of the main players that have followed Boiler Room’s 5-year journey since its outset. 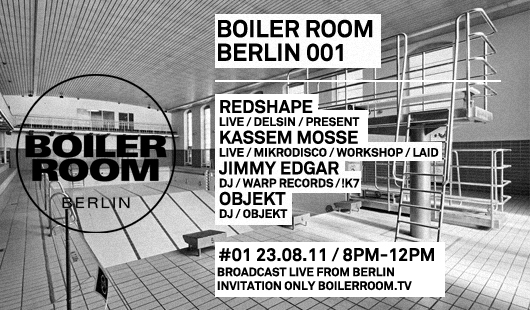 Check 5yearsof.boilerroom.tv now for more info and to request an invite. 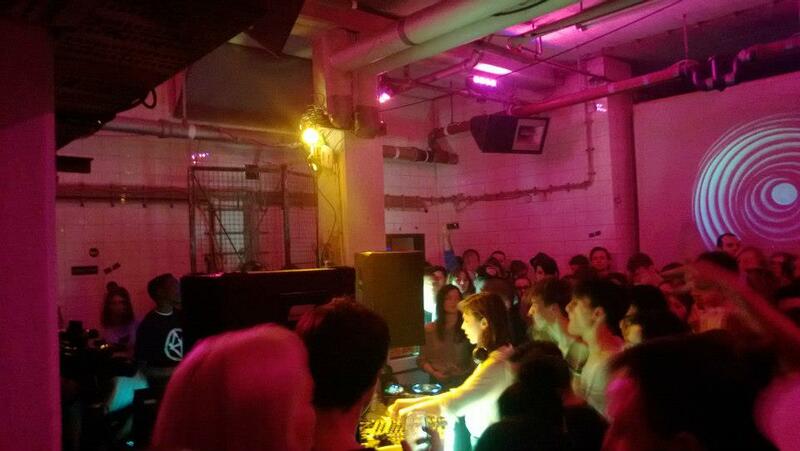 Ellen Allien is back in Boiler Room Berlin and she’s invited good friends Camea, Phon.O, Deniz Kurtel and Manik. Over the past 20-plus years Ellen Allien has boldly stood as a towering figure in Berlin’s realm of electronic music and beyond. Born in Berlin, living and working in Berlin and Ibiza, one of the planet’s most dynamic party scenes, her artistic home stands for one thing above all: freedom, in every aspect. DJ, musician, label manager, t-shirt designer and creative all-rounder – Ellen Allien has carved out her own space in all these roles, creating a unique universe. Via her label BPitch Control she has fostered the careers of many of dance musics heavyweights including Modeselektor, Apparat and Paul Kalkbrenner. And she hasn’t slowed down, releasing her most recent 12″ ‘High‘ on the label this year as well as her last album ‘LISm’ in 2013. We can’t wait to have Ellen rock it for us one more time. Camea will make her lond awaited debut for us. Since relocating to Berlin in 2007, it’s easy to see that the American artist has found herself more than at home, via the success and sound she has developed in this time. As a fellow BPitch Control artist and owner of her own label Clink Recordings, Camea has also accrued a lengthy discography since 2006 on other top labels such as M_nus, Soma, Plus 8 and Get Physical. For the second time in Berlin we welcome back Phon.O, another artist who has an impressive discography, spanning the likes of 50 Weapons, Boys Noize Records and most recently BPitch Control via his ‘Velvet Rag’ EP this year. He absolutely smashed it last time, and we can’t help but expect more of the same. On top of that we’ll have the return of Wolf+Lamb and Crosstown Rebels artist Deniz Kurtel, from whom we are anxiously awaiting her next album. Aswell as New York’s Manik who busy as always has a steady stream of releases on the way to close out 2015 on the likes of BPitch Control, Josh Wink’s OVUM and Black Butter. 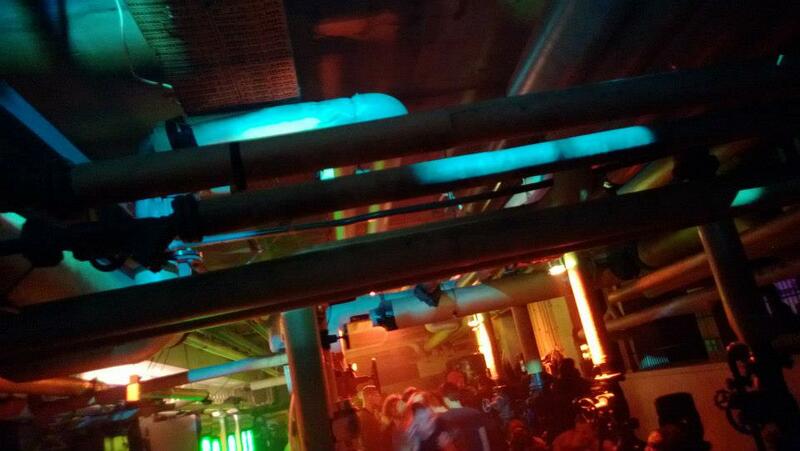 Der Boiler Room ist zurück in Berlin. 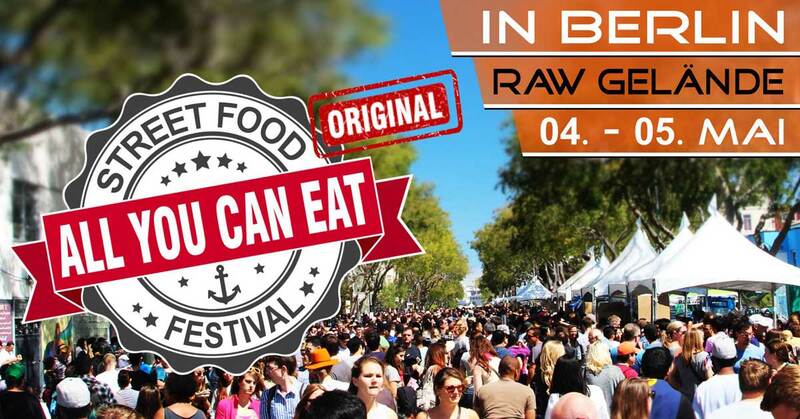 Die erste Session ist im Watergate am 12. August 2015 mit Stephan Bodzin, Mathias Kaden, Alex Niggemann, Avalon Emerson, Jimi Jules und startet um 19 Uhr. 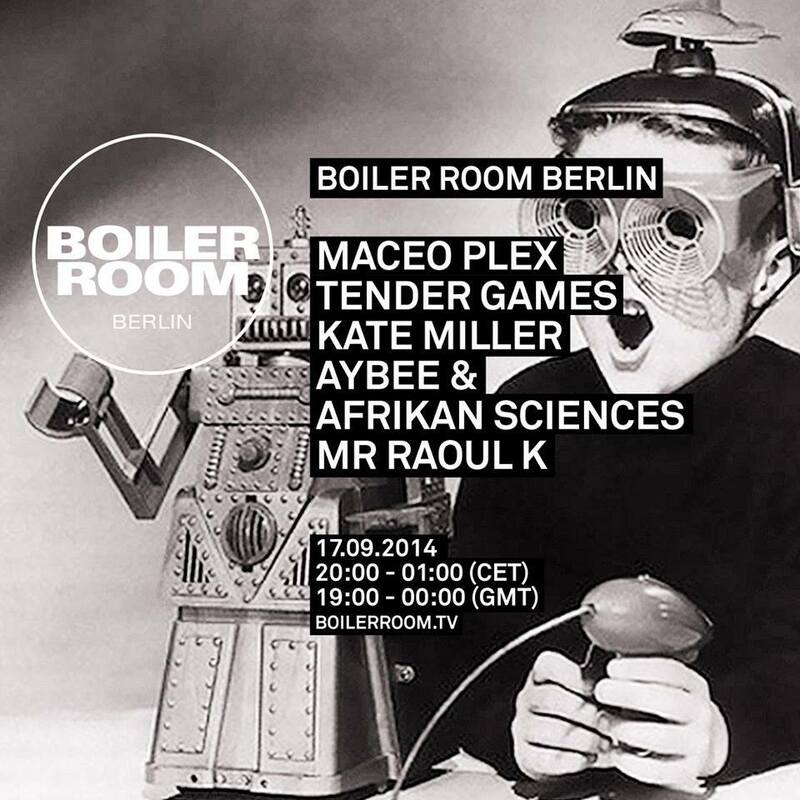 Boiler Room Berlin returns with another mix of rising and established, plus local and international talent. We’re particularly excited to bring you the world premiere of Stephan Bodzin’s new live show, featuring music from his new LP ‚Powers Of Ten‘ on his own Herzblut imprint. Always consistent and on top of the game for years now, 2015 has been no different for Stephan, also releasing on the taste-making Tale Of Us‘ label Life & Death. Also celebrating the release of his new album ‚Energertic‘ on Freude Am Tanzen is Mathias Kaden. The album is aptly titled, as it is the energy that Mathias has brought to his productions and DJ sets over the years that he is so well known for and that we are looking forward to experiencing in this session. Add to this Alex Niggemann, who is fresh off a release on his own label AEON, after accumulating releases over the years on some of the hottest German house labels including Poker Flat, Compost Black Label, Get Physical, Tsuba and Soma. Plus we’ll have Avalon Emerson, who has been making her presence felt recently, with releases on Californian imprints Icee Hot and Spring Theory and the Zurich based Defected artist Jimi Jules to round out this session. Am 19. 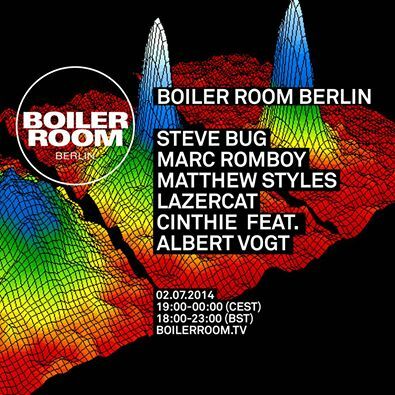 August ist bereits der nächste Boiler Room in der Arena Berlin angesetzt. Paul Rose aka Scuba is no stranger to Boiler Room, having recording several sets over the years, showcasing the different periods of his ever evolving, but always trand setting sound. The Hotflush Recordings boss released his fourth album ‘Claustrophobia’ earlier in the year, which signified a shift back to the darker, dubbier sounds with which he originally made his name. It was also remixed by an varied and enviable cast including Function, Mr Tophat & Art Alfie & Len Faki to name a few. Expect exclusives and unreleased tracks from Rose, other Hotflush artists and associates. Making his long overdue debut for us is the Swedish artist Sebastian Mullaert, half of the internationally aclaimed duo Minilogue with Marcus Henriksson. Having taken a hiatus from the project in 2014, Sebastian has taken on other ventures such as starting a new label Wa Wu We, releasing on top labels such as Minus, Ovum and Traum Schallplatten, aswell as playing live and recoding a mix CD with Kontra-Musik owner Ulf Eriksson. 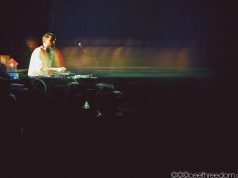 For this perfomance he will showcase a specially prepared live set. 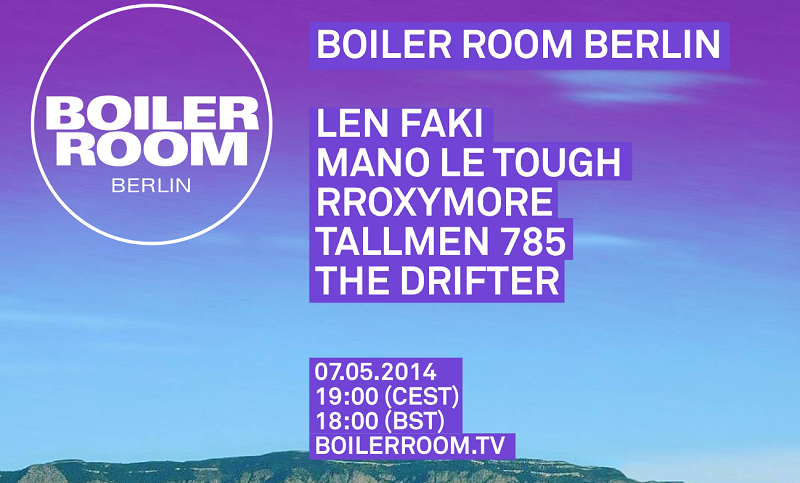 Another returning familiar face on Boiler Room is Lando. Having previously released on labels such as Hotflush and Rush Hour under his Lando Kal alias and an album on Monkeytown as part of the Lazer Sword duo, 2014 also saw a shift for the Berlin based artist. Teaming up with our own Baron Castle they launched the label Myth Music, with the first two EP’s coming from Lando himself and the third from Dorisburg including a Lando remix. With his recent his ‘Stunts’ EP on Jimmy Edgar & Machinedrum’s Ultramajic EP and an appearance in Panorama Bar, Lando is widely being championed as someone whose experiences have resulted in a truly unique take on techno. 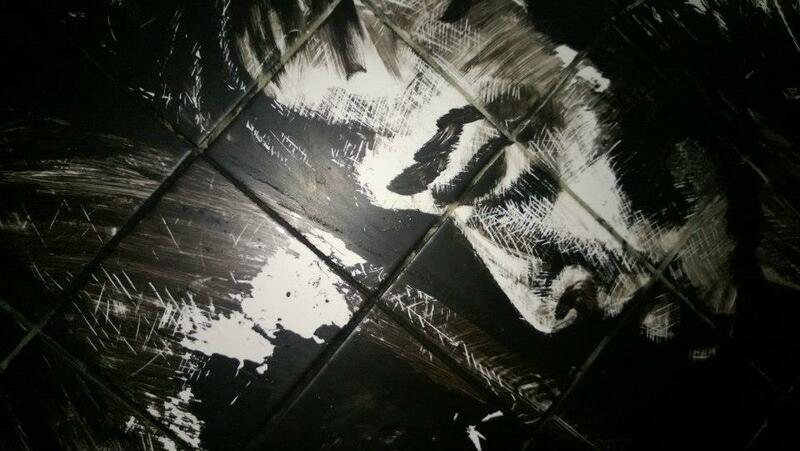 Another artist we’ve been watching for a while is the Berlin based Swede Johanna Knutsson. Co-running the labels Zodiac 44 and UFO Recordings as well as previously releasing on the seminal Klasse Recordings, Knutsson has been gathering steam lately via her stripped back DJ sets, which have seen her performing regularly in Panorama Bar and beyond. Finally we’ll have the Klasse Recordings and Grafiti Tapes boss Luca Lozano, who also co-runs UFO Recordings with Knutsson. This year has seen Lozano really find his form, releasing some of his strongest work to date with a collaboration EP’s with DJ Fett Burger on Klasse Wrecks and with Mr Ho on Crème Organization. 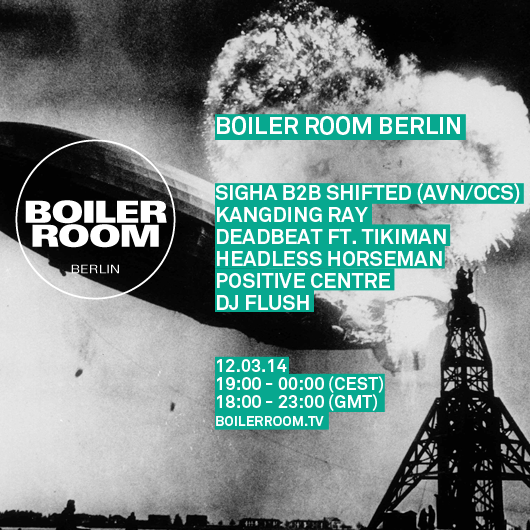 Boiler Room Boiler Room Boiler Room…. 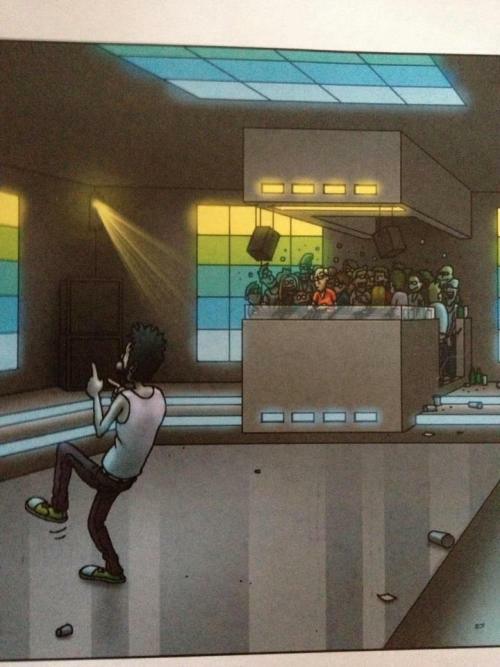 nach eigener Aussage die „world leading underground music show“. Wie man Weltmarktführer einer Underground Eventreihe sein kann… nun da dürften einige Berliner Techno Herren nur den Kopf schütteln. Facebook ist jedenfalls voll davon. Party hier Party da. Alles total geheim und man kommt nur ganz schwer rein und überhaupt… sage ich mir: Hey was haben die, was wir an normalen Abenden nicht im Rio auch hatten? Die ersten Jokes kuriseren bereits. 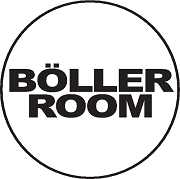 Das Boiler Room Logo wurde abgewandelt in Broiler Room und Böller Room. Beide durchaus lustig, wobei ich dem Hähnchen eindeutig den Vorzug gebe. Den Knaller schoss wohl aber diese Kopetzki Illustration ab. Und das ist eben auch der Knackpunkt. Das Leute auf den DJ glotzen, anstatt den Arsch zu bewegen, hab ich nur einmal erlebt und das war 1992 als Jeff Mills auflegte und alle 30 sekunden die Platte wechselte. Da war das auch vollkommen ok. 20 Jahre später finde ich das eher doof. 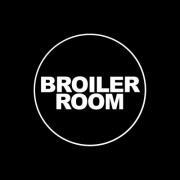 Trotzdem zählt der Boiler Room sicher zu den interessantesten Veranstaltungsreihen des gegenwärtigen Berliner Nachtlebens. 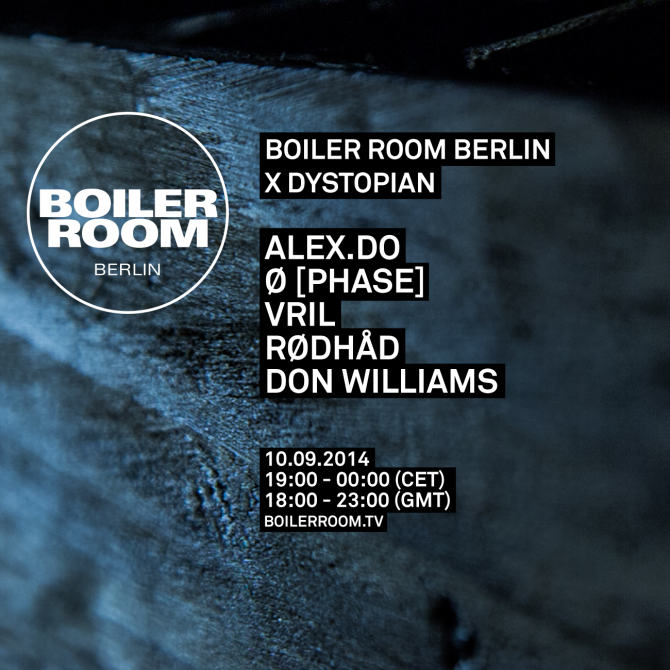 Hinter Boiler Room stehen Blaise Bellville, Thristian Richards, Charles Drakeford, und Chalin Barton. 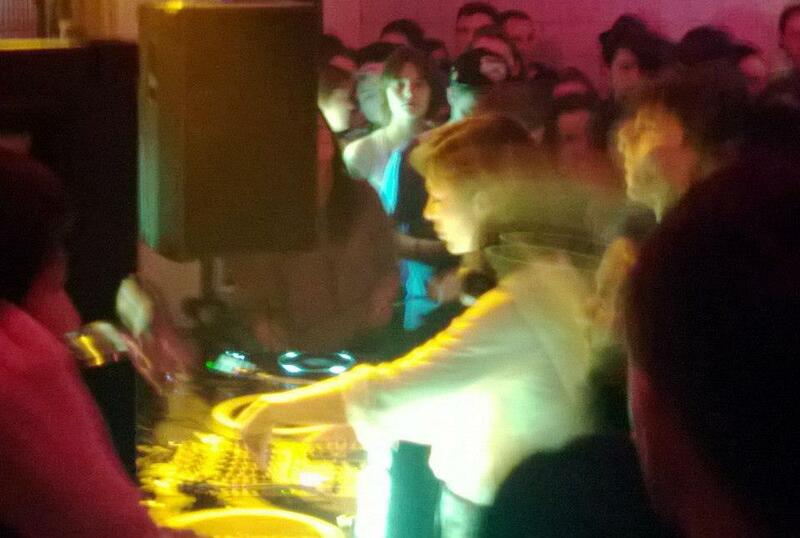 Dank Michail Stangl und Alexander Waldron ist Boiler Room nach Berlin gekommen. 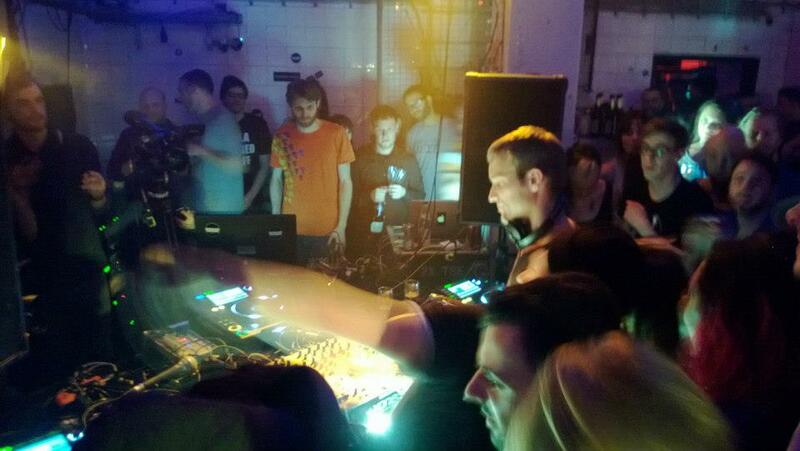 Mikhail Stangl betreibt übrigens die Reihe Leisure System im Berghain. 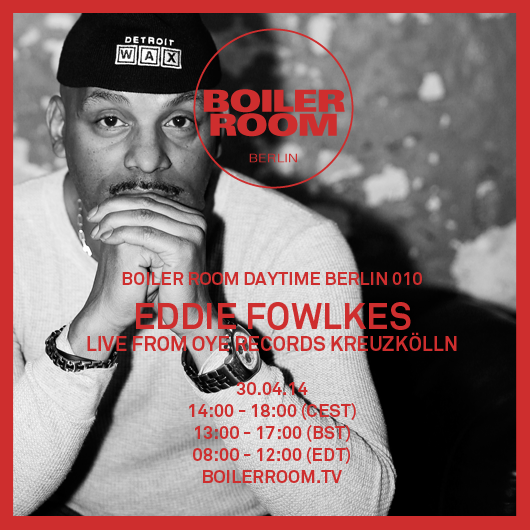 Die Idee kommt aus London, seit 2011 wird der Boiler Room auch in Berlin abgehalten.Die erste Boiler Room Show war dann am 23. August 2011 im Stadtbad Wedding. Seitdem sind wir im Jahre drei des Bestehens. Ein Artikel, der nicht unbedingt den Boiler Room, aber die aktuelle Gesamtlage eingsherum beschreibt, findet sich bei der Berliner Zeitung online. 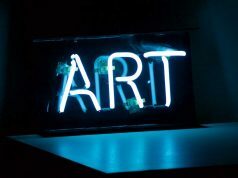 OK weiter… erstaunlich ist, dass sowohl Artists das ganze kostenlos machen, und der Einttritt umsonst ist. Wer jetzt denkt, is doch logisch, weil die Kohle eh über die Bar kommt und wenn Künstler umsonst auflegen (und es keine Benefiz Party ist) dann sollte man auch keine Eintritt zahlen müssen, nun… diesem Menschen sei gesagt, das Berliner Veranstalter in den letzten Jahren selbst bei Open Airs Eintritt verlangen, was nicht nur peinlich ist, sondern einfach arschlochmäßig. 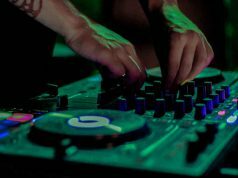 Ach ja… und natürlich die Live Ausstrahlung der DJ Sets ganzen via Netz in alle Welt. Unter www.boilerroom.tv könnt ihr virtuell dabei sein. 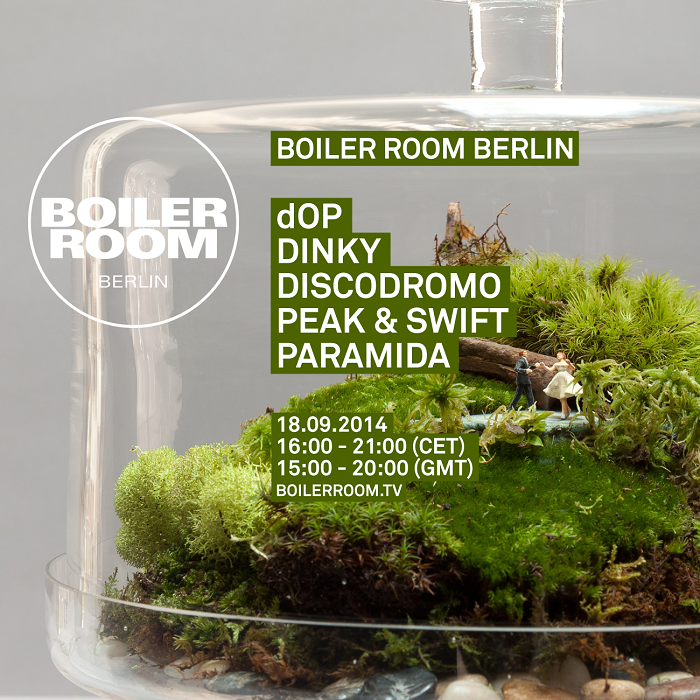 wann und wo ist die nächste Boilerroomparty in Berlin ? Guys. 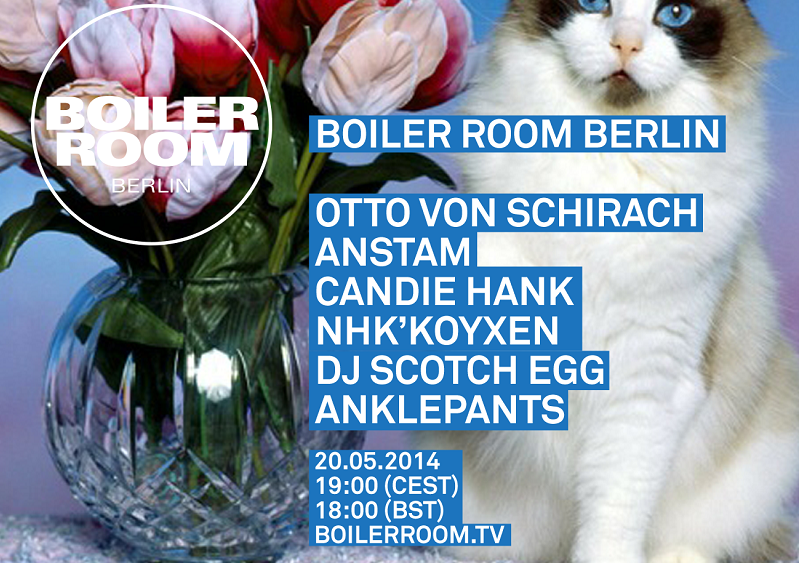 ¿How i do to go at a Party of Boiler Room here in berlin? ¡Can you tell me please the next one on February? 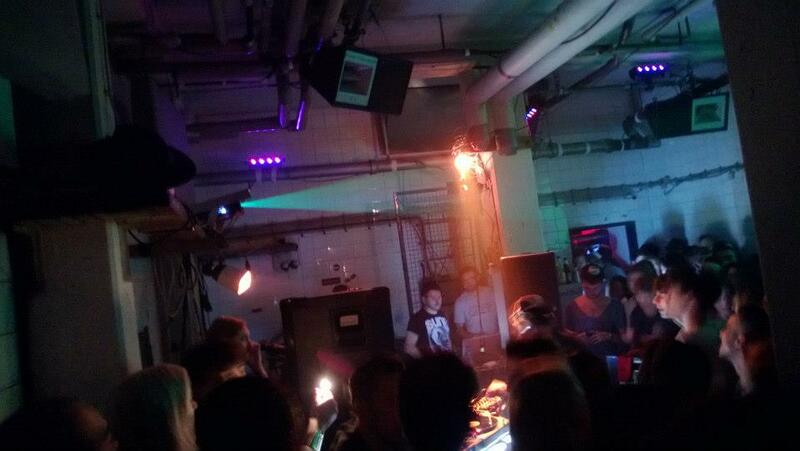 Eine Historie des Berliner Boiler Rooms.